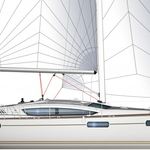 Sailboat Sun Odyssey 42 DS called Irene has been produced in 2010. 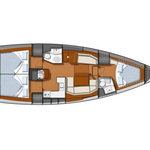 We propose this yacht from base Lefkada in region close to Ionian Sea. Irene is registered for 8 pax. Layout of the boat is 8 (6+2). 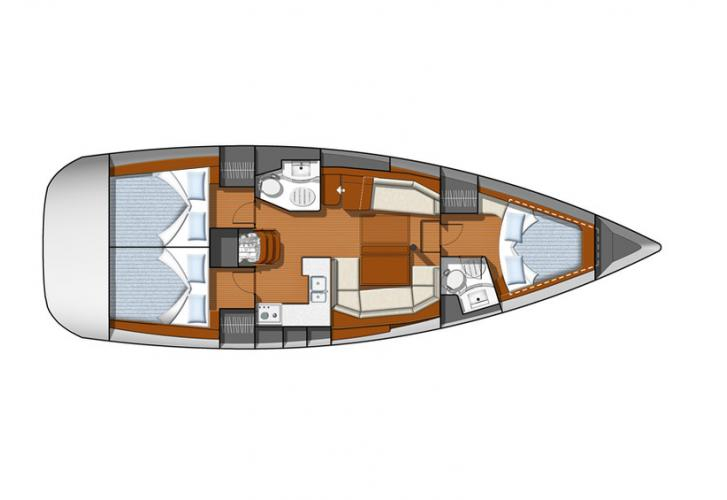 Sun Odyssey 42 DS Irene is equipped with 3 bedrooms. For comfort of passengers there are 2 WC. With motor 55 Irene can sail really fast. Use the search engine for search for more boats by opening this link here: Yacht charter Lefkada. 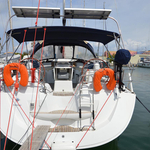 Boat's equipment includes : Anchor electric windlass, Bimini top, Dinghy, Bed linen, Radio / cd player, Autopilot, Gps plotter, Outboard engine, Bow thruster, Furling mainsail. . Deposit is 2000.00 EUR. Choose our offer and enjoy your vacation on the deck of Irene. 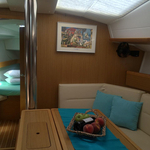 This Sun Odyssey 42 DS from Lefkada from Greece Find about here: Yacht charter Greece.